Raised Spot UV Postcards are now available. Printed in full color on our Heavy 16pt Card stock and Laminated with a Soft Velvet Lamination. The Spot UV literally jumps off the card with this raised effect. Raised to 50 microns. You can feel the texture when running your fingers over the postcards. Unique with spot uv lamination, the soft feel of the card is certain to make a great impression! Available with one sided or two sided raised spot uv. 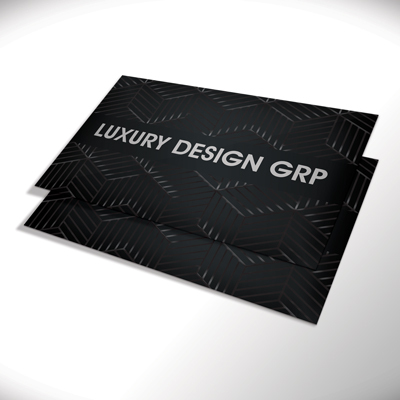 If you want to represent luxury, then these are the postcards to represent you.